PRESCOT CABLES were formed in 1884 and played in the Lancashire Combination and Cheshire League for much of their first 100 years of existence. 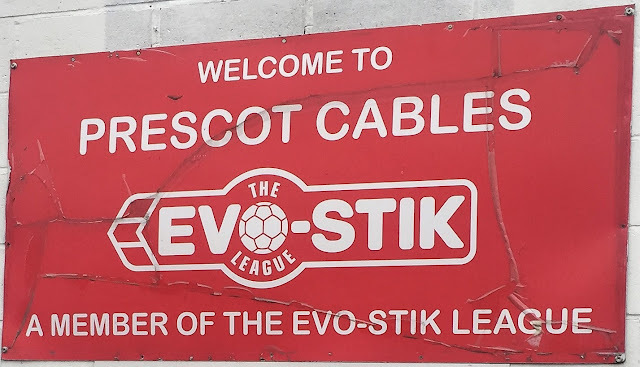 They joined the newly formed North West Counties League in 1982 but struggled at first, being relegated to it's second tier in 1986. Despite only finishing 14th they were promoted back to Division 1 the following season. Things started to improve in the mid-1990s and by 2003 they were North West Counties League champions and were promoted to the NPL Division 1. 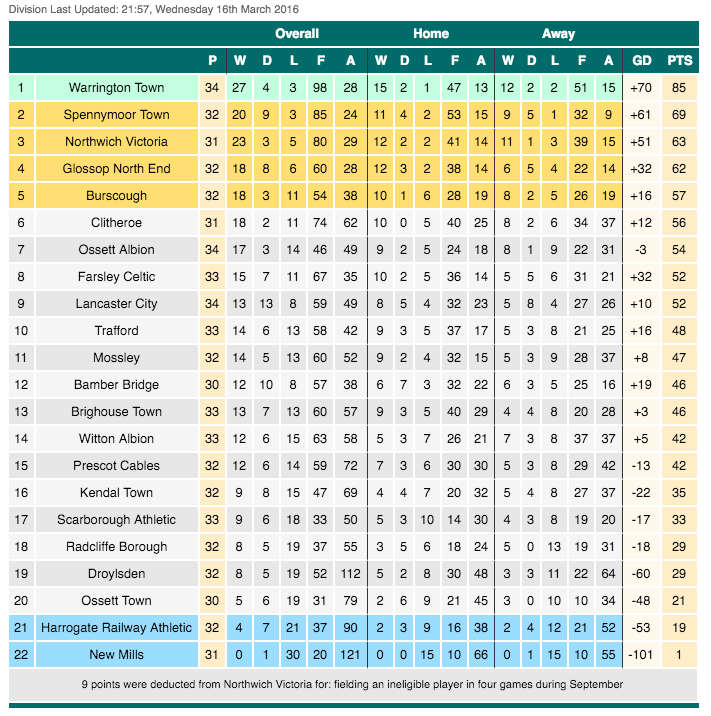 A 12th placed finish was enough to earn another promotion thanks to the introduction of the Conference North & South. 2004/05 saw their best ever finish of 5th in the NPL Premier although by 2009 they were relegated back to Division 1 where they remain to this day. They've generally had a tough time of it and their current 15th place could represent their best season since returning if they keep it up. 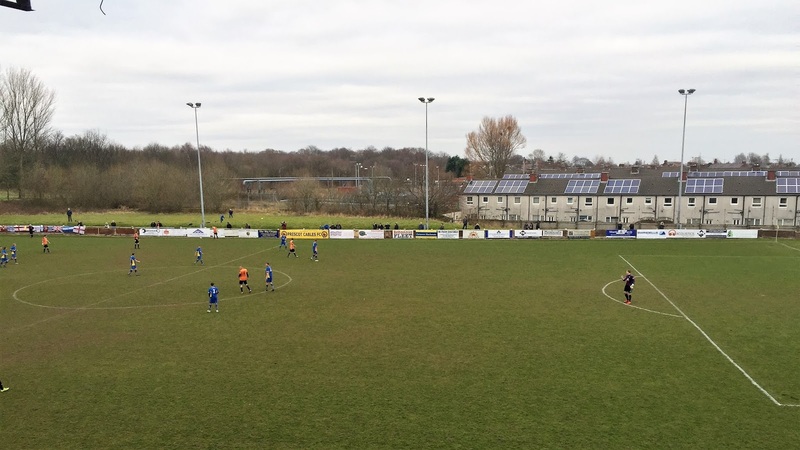 League leaders Warrington Town would prove to be a potentially tricky opponent, however. 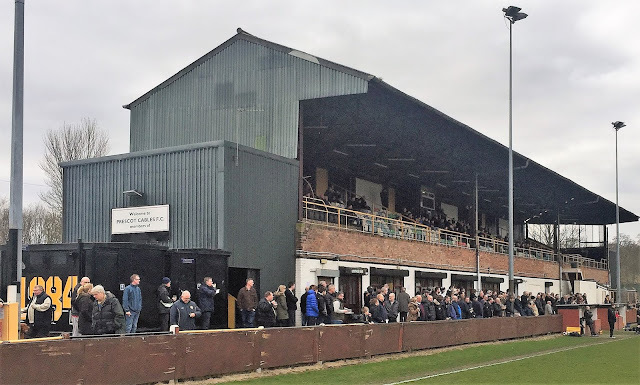 The club reached the FA Cup 1st Round twice in the 1950s before defeats to Darlington and Hartlepool ended their dreams. In more recent times a 2008 defeat to Belper Town in the 3rd Qualifying Round is their best progress. The FA Trophy 2nd Round was reached in 2004/05 before a defeat to Worcester City. The FA Vase 5th Round was their best effort, this occurring in their last season in the competition in 2003. A plethora of local cups have been won including the Liverpool Challenge Cup on 6 occasions though their most recent win came in the North West Counties League Cup in 2002. 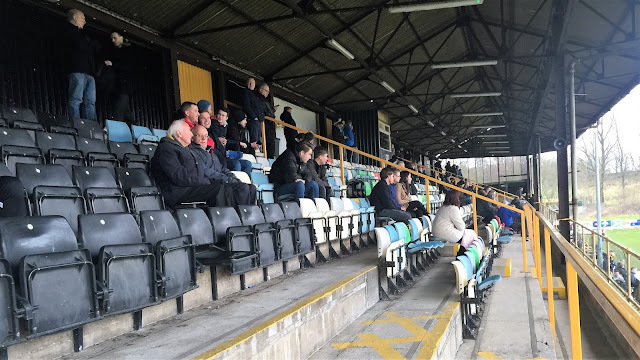 Valerie Park was a ground I'd fancied visiting for a while. I recalled visiting their ground on Sunday 23rd March 2008 on the way back from a Wycombe game up at Morecambe. If I recall correctly we stayed in Blackpool and got the train in, although why we came back via Liverpool slips my memory. In any case, there was a Sunday League game was going on and I managed to get some pictures of the ground. 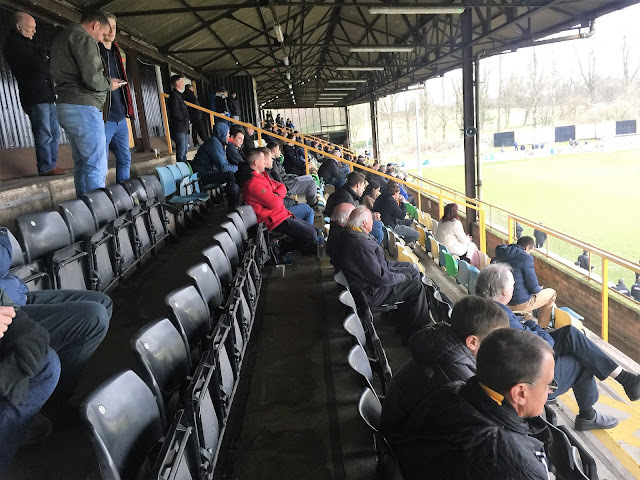 I was reminded of how good the ground is when a Facebook friend and fellow groundhopper Sean shared his photo album online and this heightened my interest. An ideal chance to visit came when my usual hopping companion Anwar got some Everton v Arsenal tickets and needed a lift. 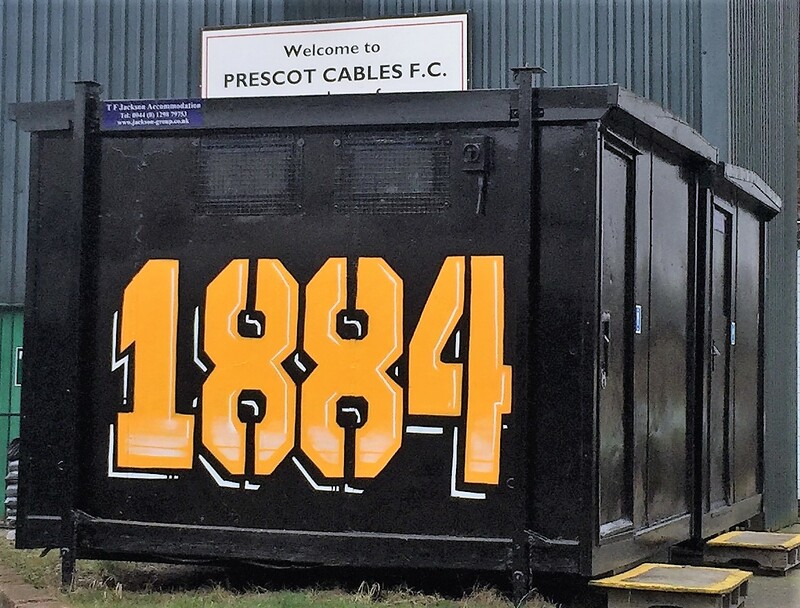 With it being an early kick-off it was ideal as I could drop him there and spend a couple of hours in Prescot itself before the game. 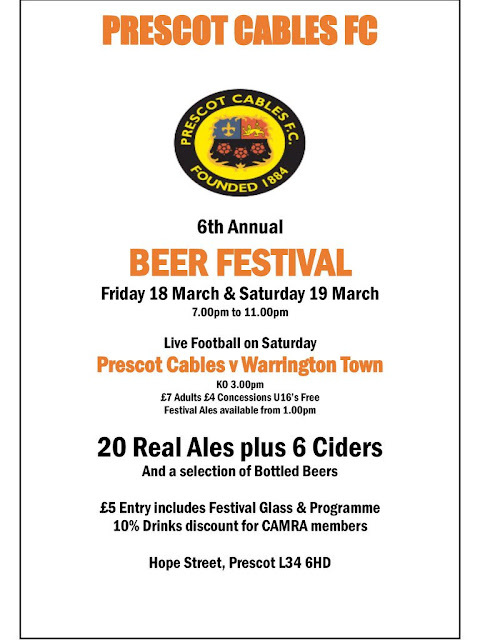 I was planning on ticking the local Wetherspoons and a couple of days before I found out that there was a beer and cider festival at the ground on the day of the game. It was just a shame that I had driving duties and would be restricted to a couple of pints at best. I'd only had about 5 hours sleep the previous night, thanks to a late night after coming back from Wivenhoe. I got out of bed at 6.40 and after catching up online I had a wash and got ready. Leaving for Aylesbury, I picked Anwar up at 8, then took the 2 minute trip to Howzy's where we had to wait 10 minutes whilst he faffed around getting ready. We were soon on our way and apart from a few slow spots on the M42 everything went fine. 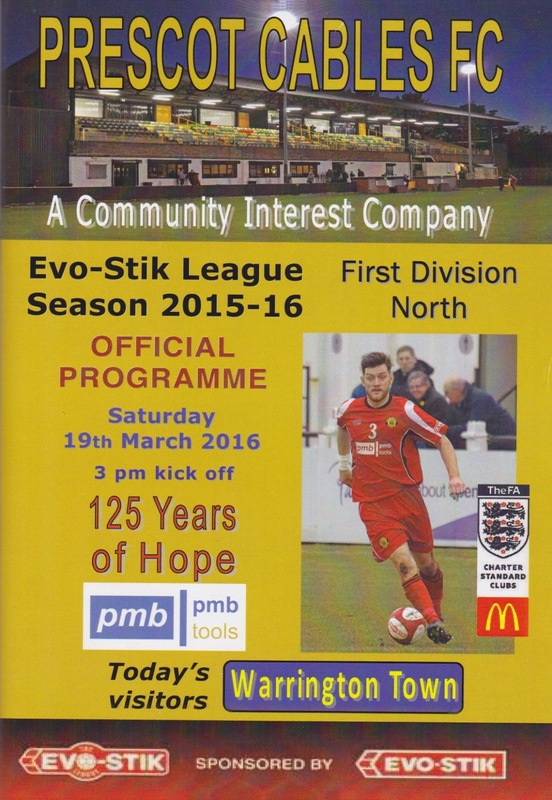 I dropped the lads off at Everton and then from there it was only a 20 minute drive to my game at Prescot Cables. I parked up near the ground and made my way into town. My first stop was the local Wetherspoons, the Watchmaker. It was a pretty poor effort and I had a half of Strongbow Dark Fruits, the lowest percentage cider available at 4%, purely for the purposes of ticking my 70th pub in the chain. The town centre in Prescot looked a bit neglected. Perfectly tidy and clean but with lots of empty units where shops should be in the shopping centre. I did like it though and I filled my boots food wise with 2 beef and onion slices for £1 from Pound Bakery and then double black pudding and chips for £1.60 from Lou's cafe. Both were excellent and filled me up for a while. The town itself has been home to many notable people including footballer Mark Ward, Brookside and Royle Family actress Sue Johnston and Sam Kelly who played 'Warren' in TV sitcom Porridge, The town has a history of watch and clock making, paid tribute to in a local museum and the Wetherspoons pub also. By now it was just after 1 and I had a little bit too much time to kill before kick off. I sat in my car for 15 minutes before going into the ground to check out the beer festival. 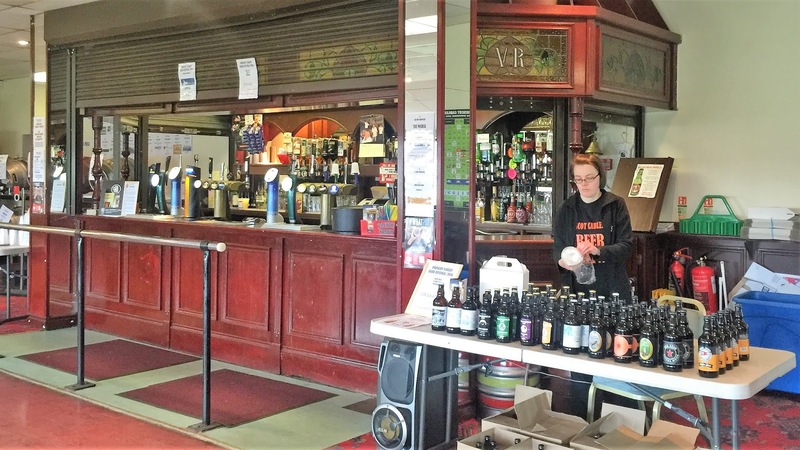 It was a cracking ground and a great beer festival with lots of great ciders. Sadly I was limited as I was driving but I started off with a Hardshaw Dry cider which was excellent. I was happy to be in the company of Lost Boyo Matt Harrison and blogger Manc Hopper. We all took part in the beer festival and it was actually excellent with me trying 3 new ciders, thanks to them doing halves. 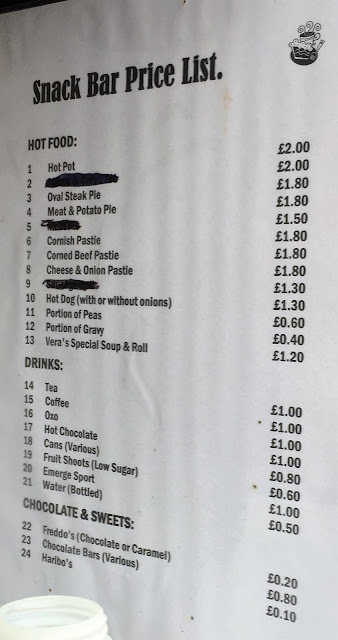 I had a Hardshaw Dry Cider, Joe’s Dry Cider and a Hairy Ferret with the latter probably being the pick of the bunch. I also had a hot dog to soak it all up as I was still hungry. Another purchase was a Prescott Cables scarf. Despite them doing my favoured pens I decided to splash out on a scarf as I liked the name of the club and also it was in nice colours. It cost £7 and was one of the better quality scarves that I’ve bought. 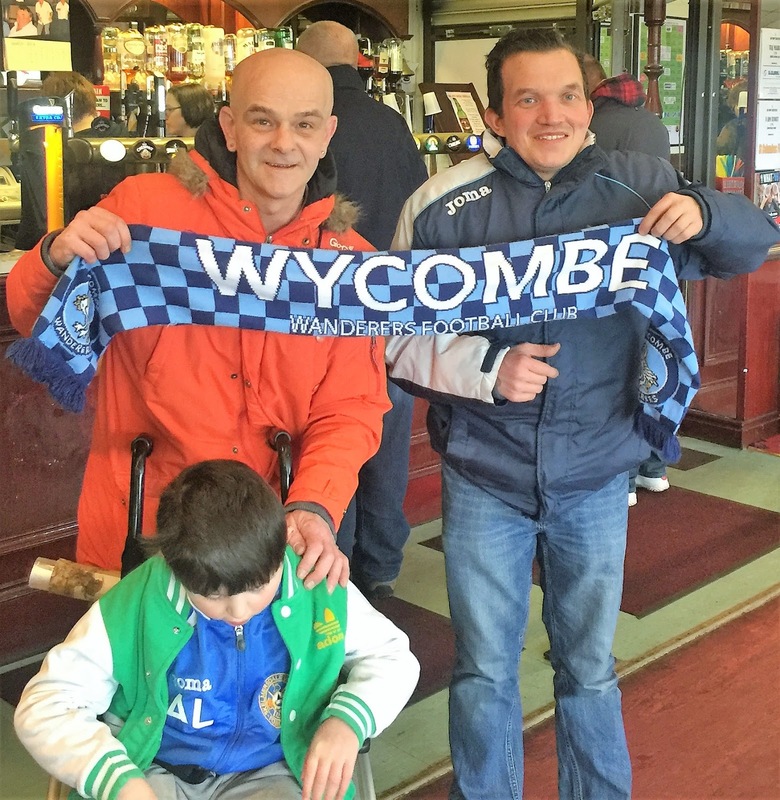 Talking of scarves, I was happy to donate the Wycombe one that I was wearing to the Alfie Lund fund. The little chap in question is a 6-year-old from Burscough who suffers from a rare chromosome disorder called MECP2 Duplication syndrome. As a result, he can not walk or talk and is unable to do a lot of things for himself that most kids that age take for granted. Despite this, he battles on with a smile on his face. His dad is trying to raise money for specialist equipment to help him progress and make his life more comfortable. 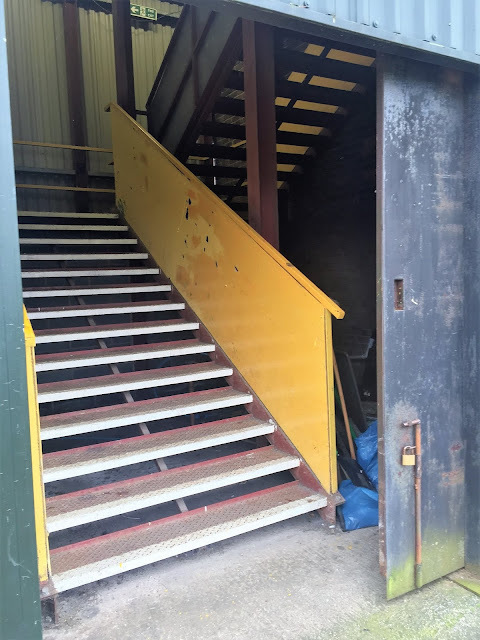 The fundraising is taking the form of collecting as many football related items as possible including scarves, shirts and flags and over 2 miles worth has been donated so far. They are hoping to create a Guinness World Record for this and auction off all the items and I was only too happy to be part of this. 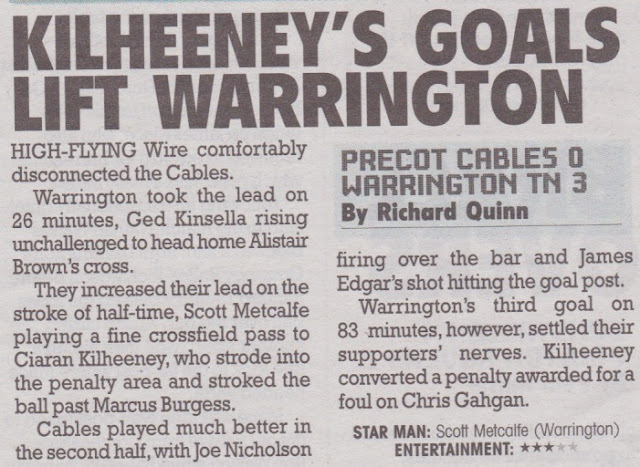 It was a good game on the pitch, and the match report from the Non-League Paper is below. It was a quick journey back to Everton which was now nice and clear seeing as the match ended a few hours before I got there. I got there at 5.15 and even with a stop at services we still got back to Aylesbury at 8.30. I got home myself just before 9, typing my blog with a couple more ciders before watching Match Of The Day and going to sleep around midnight. VALERIE PARK is cracking traditional non-league ground with plenty of nice touches to make it interesting. The focal point is the main stand, elevated above pitch level and with a quoted seated capacity of 400 though it looks more than that. Views from the seats are good and there is also plenty of standing up there though some of this has your view blocked by the side of the stand. There is further covered standing behind the goal with cover overall for 2000. The other 2 sides are uncovered and with the grass banking now out of bounds, at least officially, the capacity is set at 3200. 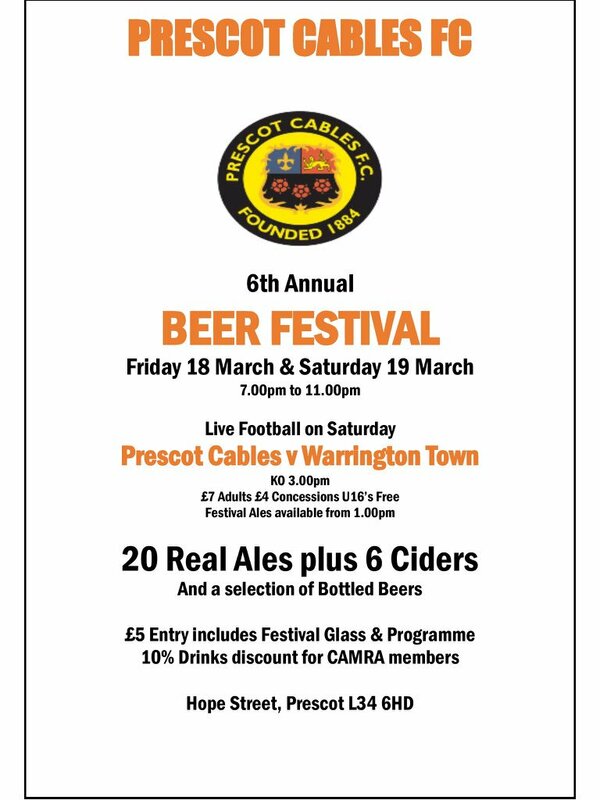 There is a bar at the ground that does a reasonable range on normal days but when the yearly beer festival is on the range is brilliant with 20 real ales and 10 real ciders. The tea bar is good also with a decent range available at good prices. 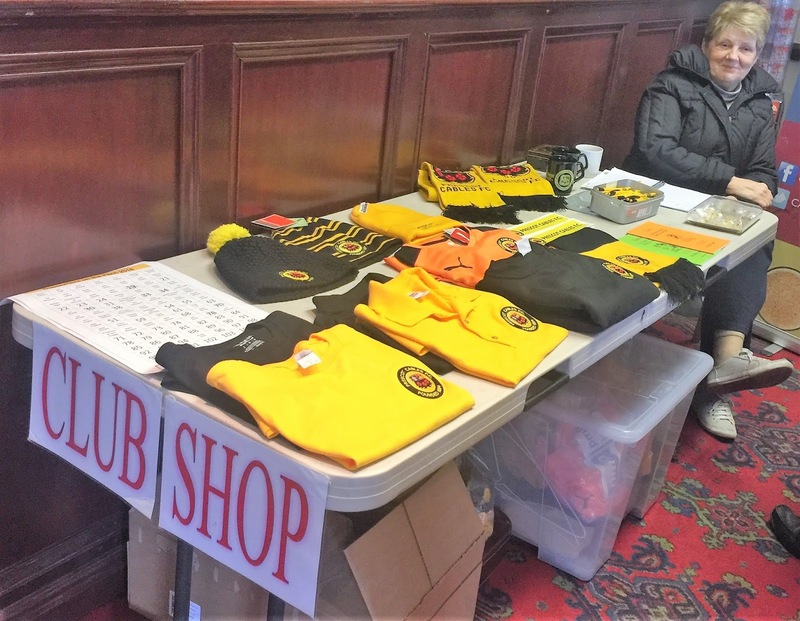 The club shop is a table in the bar and offers a decent range and good value. Further afield the town has a below average Wetherspoons and other pubs as well as a number of decent takeaways.